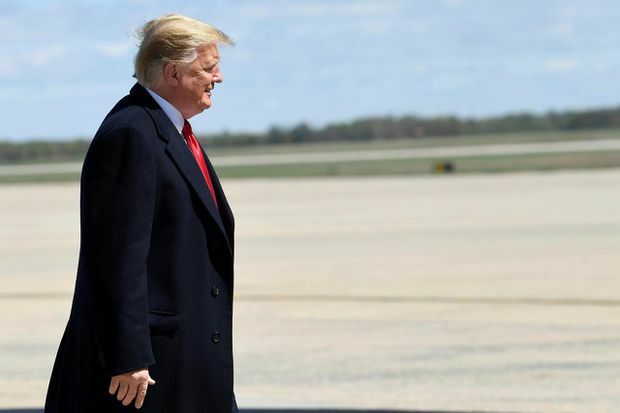 President Donald Trump walks towards the steps of Air Force One at Andrews Air Force Base in Md., on April 15, 2019. At the same time, Democrats on Monday asked the White House and agency officials for internal documents on the administration’s deliberations on its proposal to send detained migrants to “sanctuary cities” – cities and districts that don’t co-operate with federal immigration officials and which are mostly Democratic strongholds. The letter was sent by House Judiciary Committee Chairman Jerrold Nadler, D-N. Y.; Oversight and Reform Committee Chairman Elijah Cummings, D-Md. ; and Homeland Security Committee Chairman Bennie Thompson, D-Miss. It was sent to Mick Mulvaney, White House acting chief of staff, and Kevin McAleenan, acting secretary of the Homeland Security Department.